Jim Rogers may be a familiar figure to many since he is often seen on the different news channels on television. He is often interviewed on television since he is a popular economist and is an expert on the subject of gold. Rogers is known to have very determined views on the subject of gold. He is also known for his advocacy on the many good qualities of the gold market. 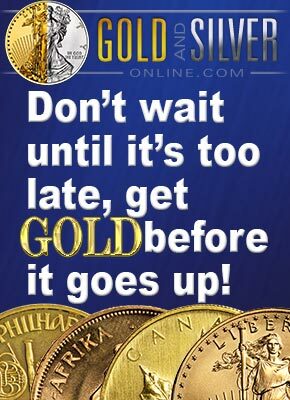 On his recent television interview on the CNBC channel, Jim Rogers strongly expresses his advice for the people not to sell their gold just yet. He further proves his point by stating that gold reached an all-time high of $850 per ounce in 1980 but today it could reach $2,400 per ounce with adjustments made for inflation. Rogers also strongly believes that the price of gold will go much higher than the predicted price within the next ten years. He believes that the reason for this is that the governments of different countries all over the world are creating more money for their own economy. If the dollar has a high volume in the market then the result of this will be the decrease in its value. If the supply of the dollar is high then its value in the market will be lowered as a result. If the value of the dollar is low then the effect of this will be the increase in the value of gold. Jim Rogers states that he does not plan on selling the gold that he owns mainly because he plans to use it as a form of insurance policy against anything that might happen to the economy. He is also against selling gold anytime soon because he believes that he will be able to earn more for his gold in about 10 to 20 years from now. Rogers also states that the Fed has already elevated the supply of money in the market and will be buying more stocks and bonds in the QE3. During the interview, Jim Rogers was also asked why the popularity of gold has faded after the debt crises in Europe. His response to this was that he believes that gold is always inversely related to the market. He further explains that the state of gold is often the exact opposite of the state that the market is currently in. He also affirmed that gold has been able to regain its strong footing in the market together with all other forms of assets. Jim Rogers strongly declared that gold has been doing very well in the market for 11 years now and it will continue to do so in the coming years.